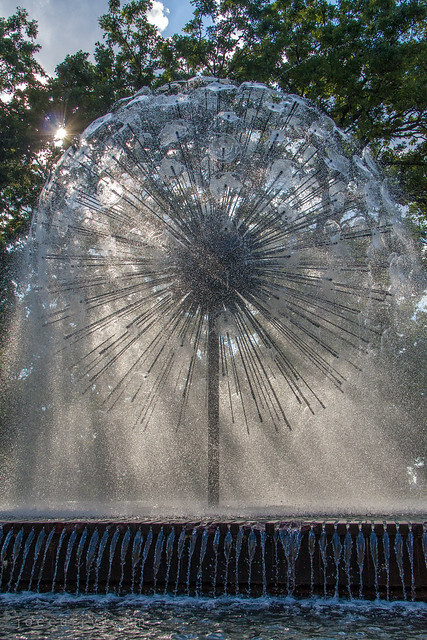 In between seven hours of The Spots bootcamp (Target’s choir) and a summer soiree with coworkers, I stepped into Loring Park for a quick photo of the Dandelion Fountain. The sun broke through the trees and clouds at just the right moment to spray the fountain with light. Built in 1975, this fountain known as the Berger Fountain is a must-see in the spring and summer months.